[BREAKING:] Dreams don't work unless you do. I hope you're all well (and warm, all you folks in the northern hemisphere). I've been derelict in my LiveJournal duties - but for good reasons, I swear. 2013 was a doozy and thensome with Harrison turning 1, working more or less full time for the fed, and putting whatever leftover energy I had into a project I've been waiting most of my adult life to accomplish. Which leads me to the big announcement. I am art-ing again. Like, a LOT. 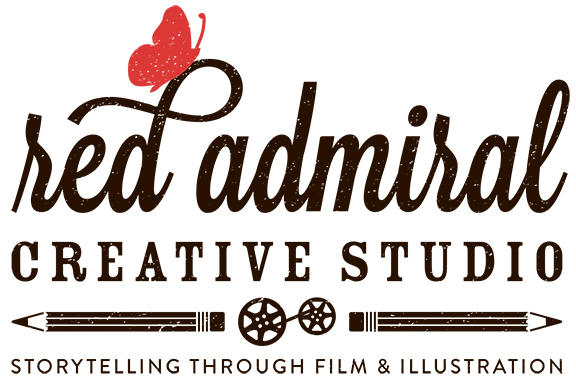 Introducing my new sole proprietorship for illustrating and filmmaking, Red Admiral Creative Studio. Red Admiral combines the disciplines that, until recently, I've done in relative privacy. It is so named not only because Red Admirals are a Vanessa species of butterfly (hem, hem), but because butterflies have always inspired me for the way they struggle to come into the world. And starting this enterprise was definitely a struggle - not just because starting a business is a logistical maze for a right-brained person like me, but moreso because I have a personal history of nearsightedness when it comes to the things I think I can do. In many ways, this journal has functioned at times like a dress rehearsal for a life I had only hoped to lead - one defined and propelled by its creative expressions. I sometimes think this is the reason why my departures from LJ are so long - my fanartist appellation started to feel confining because, whether real or imagined, it created borders around what I created, why, and for whom. While I believe that my Mudblood428 screenname will still live on here as means to share my personal thoughts, experiences, and Harry Potter fan activity (including HP art) I have finally arrived a point where I feel ready to anchor my creative exploits to my real name instead of a tag I made up years ago. From now on, my work will hold as much value to me as it has for those for whom I have worked. And I believe that attitude, ultimately, serves all artists who wish to be valued for the hours, headaches, heartaches, tears, and triumphs we experience at the drawing board, behind the camera, or in the studio. If we don't stand behind our art, how can the world recognize the value of beauty? Already, things have taken off far faster than I thought they would. As of this writing, I have two children's books in the wings, I've animated several videos (it's gov't stuff, otherwise I'd totally show you guys), and there's now a board game in the wings among other projects that are flowing in. I'm so grateful (and busy!) my heart is fit to burst! And I have the LJ community to thank for this. If you're still reading, you have my gratitude for wading through this TL;DR. lol Anyway, cheers to you all! Congrats! This news is wonderful! I look forward to hearing/seeing about your projects! Good luck! Congratulations! 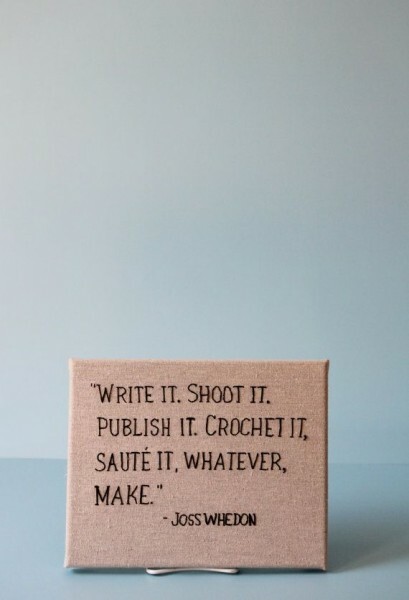 I am always so happy and proud when someone decides to follow their dreams :) Maybe not an easy way, but so satisfying! All the best! I hope you'll update us from time to time about your endeavours. Thanks so much! It's been a bit scary so far, but certainly feels like I'm doing the right thing. I'll definitely keep everyone here posted! Thanks so much for the link - I'll be sure to do the same! I've got it in the pipeline to update my site soon and I've got a section for bookmarks that will go into the next update, so Galacticdustbunnies will definitely be there! When you have a moment, send me your email address. Mine is venessa @ redadmiralstudio . com. Thanks so much again for the support! Thanks so much! I'm so happy you want to follow the site - hopefully I'll be a much more active web presence over all! And yes, the arts are coming! Of course, getting this stuff out the hatch is totally different when it's a big project versus a commish or single illustration, but I'm hoping I'll have a sense for the frequency of my posting over these next few months. Thanks again! Oh, this is incredibly awesome. I can't wait to see where this takes you, because I'm positive it's only going to be somewhere incredible. Thanks so much! Hopefully, wherever this takes me is a one-way journey. I really want to see this be successful, and if it is, I'll have the support of folks like you to thank for it!